The Information Technology Department provides innovative, reliable, integrated technology solutions; quality services; and information resources; all of which contribute to a positive campus experience conducive to the success of our faculty, staff, students, and stakeholders. The Information Technology Department will be a recognized unit rich in information resources. These resources will be used to foster the teaching, research, and outreach missions of the University. Provide useful technology to faculty and students for continuing academic success; to researchers and constituents to engage in and further their research efforts and collaboration; and to operational units for support services. Maintain a network infrastructure that is reliable, secure, and of sufficient bandwidth. Rotate equipment according to schedule and budget. Maintain network equipment configurations with up-to-date releases. Collaborate on implementation of security measures. Implement wireless and/or wired connectivity according to utilization and budget. Collaborate with various offices across the campus and OneNet on new requirements. Maintain memberships with Great Plains and Internet2. Continue the migration of analog and voice messaging to VoIP. Make access readily available from across campus as well as remote access. Continue with the single sign-on methodology. Maintain a VPN solution for employees and students. Monitor network traffic and adjust configuration as needed to keep the pace of growing utilization. Maintain federated identity such as InCommon and EduRoam. Support a core set of applications that meets the needs of the community. Maintain the enterprise ERP and collaborate with users on updates and required modifications. Maintain course management and content management systems and collaborate with ITLE and Communications respectively on user requirements. Maintain enterprise-wide integrated email, calendaring, and collaboration tools complete with user file storage. Maintain and grow the OSU/A&M enterprise identity management system. Provide technical support to campus IT departments, academic IT departments, and general user base. Operate a help desk with extended hours as well as establish a walk-up location for assistance to users with login issues and hardware and software support. Provide executive support for President/Vice President Offices and desk side support for departments with little to no technical support. Manage computer lab facilities for 24-hour student use and classroom reservations. Lend support and expertise to the State of Oklahoma, Council of Information Technology. Provide a secure computing environment. Provide security awareness training on premise and online. Conduct vulnerability assessments for devices by invitation and required vulnerability assessments for devices located in the data center. Provide risk assessments for areas with state and national compliance rules. Manage multi-factor authentication system for faculty, staff, students, and affiliates. Implement data loss prevention measures on enterprise storage devices. Manage applications that will validate URLs, identify leaked credentials, impede phishing and spear-phishing attempts, and alert for virus and malware campaigns. Promotes a positive work environment by behaving and communicating in a manner that is respectful of others. Encourages cooperation, collaboration, and co-ownership of success. Communicates honestly and openly, listens attentively, and assumes responsibility for resolving difficulties appropriately. Supports diversity in establishing relationships in which all individuals are valued, appreciated and included. Exhibits a courteous, conscientious and businesslike manner in the workplace. Actively endorses and supports OSU’s missions. Works for fulfillment of vision and goals while acknowledging the contribution for ethical and scholarly questioning in an environment that respects the rights of all to freely pursue knowledge. Seeks excellence in all endeavors and its committed to continuous improvement. Seeks knowledge that will provide skills that enable improved job performance. Contribute to the success of others by responding in a courteous, timely and accurate manner. Seeks assistance when necessary to create a positive OSU experience that exceeds the expectations of students, and internal and external contacts. 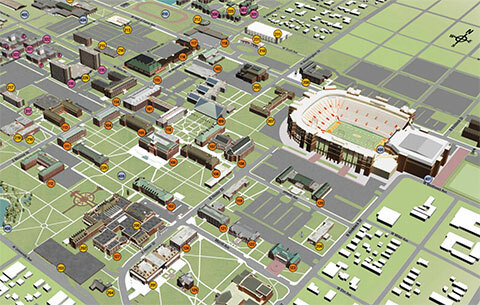 Understands performance directly affects the future of OSU and strives to perform to enhance the OSU experience. Remains positive when changes are made to procedures, the environment or responsibilities. Accepts responsibility for the public’s trust and is accountable for individual actions. Demonstrates efficient and effective use of time, equipment and other resources. Maintains confidences and protects security of operations by keeping information confidential and equipment/facilities secure. Works in a safe manner using safety equipment and procedures as appropriate and encourages others to do the same. Darlene Hightower (email), the Chief Information Officer (CIO) for Information Technology at Oklahoma State University, is responsible for the implementation and successful operations of the department's slate of programs and projects.